CarGurus has 6,596 nationwide S60 listings starting at $1,750. 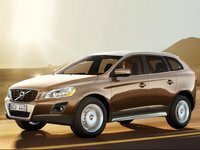 In recent years, Volvo has been closing the design gap between themselves and their German rivals - Audi, BMW, and Mercedes - and the S60 is a perfect example. Its lines are smooth and attractive, it offers more features and luxuries than before, and its ride captures more driving excitement. The 2009 S60 carries over from ’08 and sees no major changes as Volvo’s luxury sport sedan. It comes in three trims: the 2.5T, the AWD 2.5T, and the T5. The 2.5T and the T5 are both front-wheel drive, all-wheel drive being an option only for the 2.5T, and all three trims are four-door, five-passenger luxury sport sedans. As the more upscale and larger brother of the S40, each S60 trim comes with a turbocharged engine. The 2.5T comes equipped with a 2.5-liter, turbocharged inline-five engine, capable of 208 hp and rated at 19/28 mpg (city/highway). The T5 has a 2.5-liter, turbocharged inline-five engine, boasting a more potent 257 hp and achieving 18/26 mpg for mileage. Both come standard with a five-speed geartronic automatic transmission. On the track, 0-60 can be reached in 6.6 seconds with the T5 and 7.2 seconds with the 2.5T, according to Volvo. 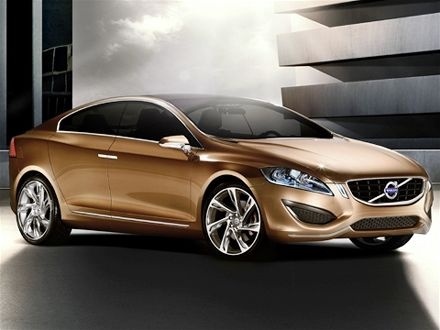 To provide luxury in the S60, Volvo makes leather seats, shift knob, and steering wheel standard. The 2.5T’s refined and elegant interior comes complemented with genuine wood inlays, where the T5 uses brushed aluminum. In 2009, the 2.5T includes a standard auto-dimming rearview mirror as well as additional speakers. The T5 adds active bi-xenon headlights with wipers that follow the path of steering. The S60 comes equipped with an array of safety features, including a four-wheel antilock brake system, dual front and side impact airbags, side curtain airbags for both front and rear passengers, stability control, and whiplash protection. What's your take on the 2009 Volvo S60? 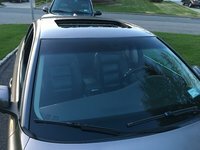 Have you driven a 2009 Volvo S60?